WINSTON-SALEM, N.C. – U.S. News & World Report has ranked the Wake Forest University School of Business Part-time Master of Business Administration (MBA) programs #13 in the nation. Rising six places, Wake Forest continues to hold the top spot among North Carolina business schools. 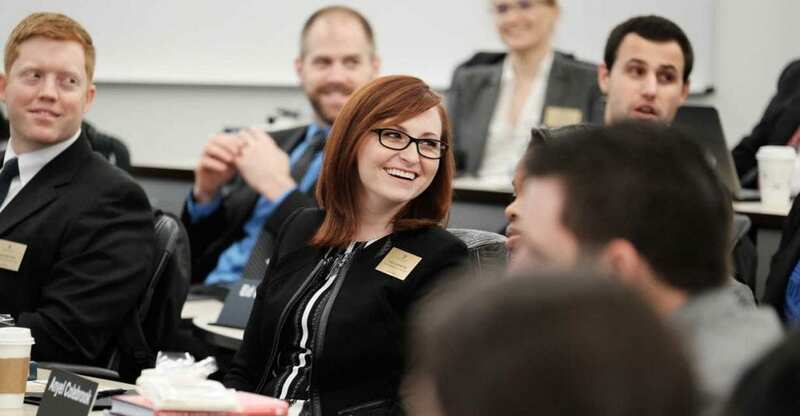 It is the 8th consecutive year the School of Business MBA program has been #1 in the state. Part of a five-year trend of upward movement in the rankings, this is the highest position the MBA program has reached in U.S. News & World Report to date. The publication surveyed 360 part-time MBA programs for this year’s ranking. The publication weighs factors such as GPA, GMAT test scores, and work experience, in addition to the level of focus a school places on its part-time program. The 2018 edition of the U.S. News & World Report Best Graduate School Guidebook will be available April 11. It includes detailed statistical information on more than 1,900 business, law, education, engineering, medicine, and other graduate programs nationwide. For more information about the Best Graduate Schools rankings and methodology, visit U.S. News & World Report.